An important part of keeping your senior loved ones in shape is to let them eat healthy and balanced diet. Consuming green leafy vegetables and a good serving of fruits will let them become fit, energized, and strong. In doing so, they are at a lesser risk of developing degenerative diseases. They are not also going to be prone to the threats of cardiovascular diseases, diabetes and cancer. In order to help them meet their nutritional needs, you need to focus on preparing food that are rich in fiber, vitamins, minerals, and other nutrients. This is part of the best practices of Non-Medical Home Care in Greensboro Drive McLean VA.
Green Tea. 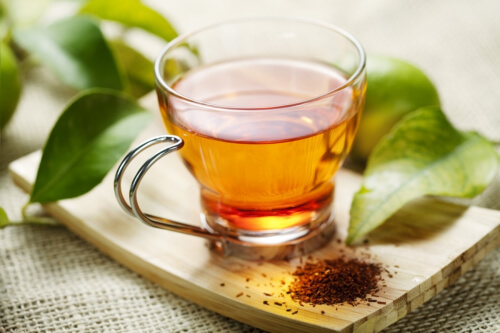 There are a lot of people who depend on green tea because it helps them have regular bowel movement, and also because of its antioxidant property. This should always be on top of your grocery list when you’re looking for beverages to serve to your senior parents. Regular consumption of green tea can improve brain function and it helps decrease your loved one’s risk of diabetes and cardiovascular disease. The more they’ll love to drink green tea when you tell them of its anti-aging effects! Dark Chocolate. If your loved ones have the sweet tooth, they don’t have to keep away all chocolates in the fridge because dark chocolates can surely satisfy their cravings, while at the same time, giving them just the right amount of health nutrients. This food is not highly processed and in fact, some are in its raw state. There’s not much sugar added, so it has a slightly bitter yet delicious taste. The best part about this superfood is that it has antioxidants that will help keep your loved ones function their best. Red Wine. A few glass of wine each night will not cause any harm to your senior parents, provided that it’s the red-type. Red wines are thought to increase the amount of good cholesterol in the body and it also decreases the risk of your loved ones from osteoporosis and oral health issues. Good dietary practice is at the core of every Non-Medical Home Care in VA because it is important at any age of one’s life. Thus, paying close attention to the food choices of your senior loved one should always be your top priority. You need to prepare meals that are nutritious and are low in empty calories so they’ll not easily fall prey to degenerative illness. Through these healthy food choices, it will help them enjoy the golden years of their life with verve and energy because they are fueled with high-quality food which are packed with health benefits. This entry was posted in Non-medical home care and tagged healthcare services, Home Care in VA, homecare services, non-medical home care in Greensboro Drive McLean VA, The Best Superfoods. Bookmark the permalink.